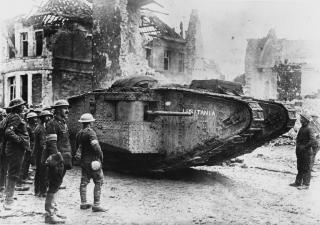 In September 1916, during the Somme Offensive, Britain uses tanks for the first time. Tanks were developed especially for fighting in the First World War. The intention was to develop a machine that could travel over No-Man’s Land, attack enemy guns and act as a shield to keep soldiers more safe from bullets and barbed wire.